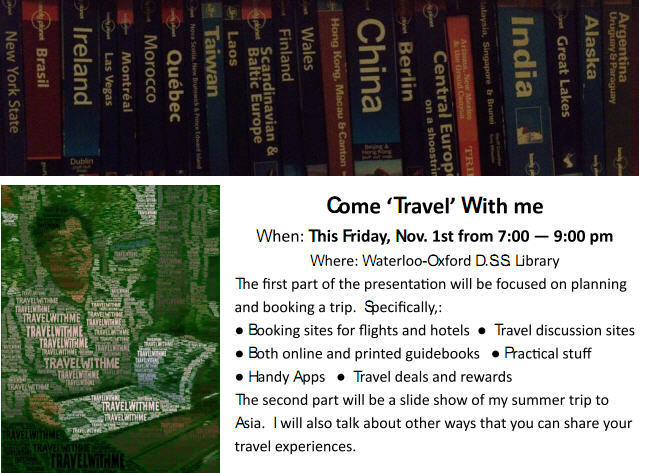 I created these pages after I gave a talk called Come ‘Travel’ With Me at my school’s library. Send me a message if you have any suggestions. This entry was posted in Uncategorized on November 5, 2013 by Savio Wong. Savio, I was not able to attend the day you spoke to my Rotary Club. I’m so glad that you have forwarded the link to our President Tim. I just watched it with tears in my eyes. You see, I lost a cousin in WW 2. He was the victim of a German sniper in Holland on April 24, 1945 just a few days before end of war. Thank you so much for an excellent video. I want it to be required watching by my kids & grandkids. My cousin, Lawrence Thompson , is buried in Groesbeek Cemetery in Holland. My plan is to visit his grave one of these days as well as places covered in your video. Thank you for your note. I’m glad you were able to watch the video I have created. My journey to the battlefields last summer was life-changing for me in the sense that it allowed to learn how to honour the young men who made the ultimate sacrifices. Do feel free to share my video. It was a commitment I made to the good people at Juno Beach Centre that I would try to spread the message whenever I can. 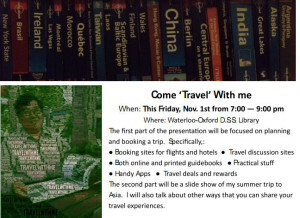 Excited to read and learn about your travels. Do not forget to add fenelon falls on your ‘someday’ list. Teresa Telford-beggs.